Bone cancer blood supply. 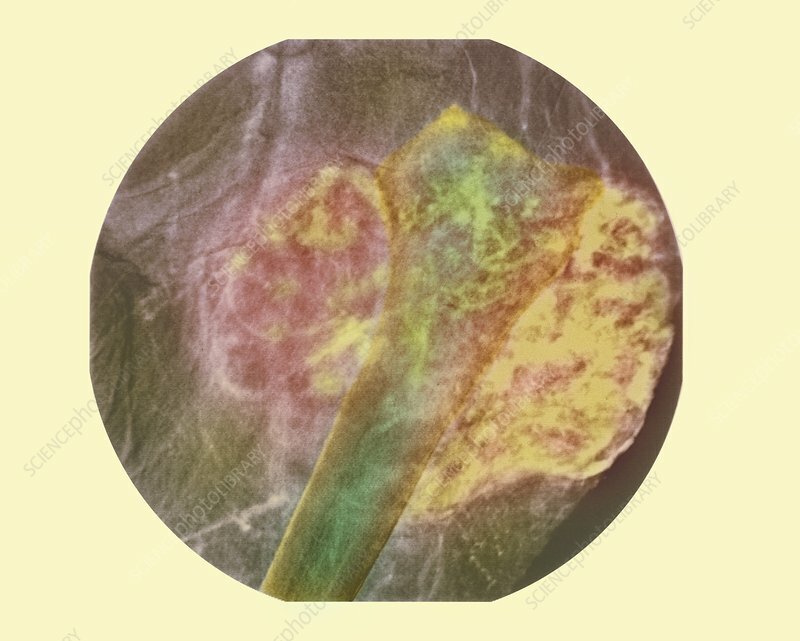 Coloured angiogram (blood vessel X-ray) of the thigh bone (femur) showing increased blood supply (yellow) to an osteosarcoma bone tumour. Osteosarcoma is a cancer found mainly in young people. It causes a painful swelling of the affected bone, usually in long bones such as the femur, tibia (shin bone) & humerus (upper arm bone). It is highly malignant and spreads rapidly, usually to the lungs. Surgical removal of the affect bone is the usual treatment, which may involve amputation of an entire limb. Removal of the tumour alone is sometimes performed, along with radiotherapy and chemotherapy.